Family owned and operated since 1984, Howard Hurd Landscaping takes pride in providing the greater Camas and Washougal areas with beautiful landscape design and construction services. We are committed to giving excellent work and superior service to all of our clients. Landscaping in Clark County, WA is about a whole lot more than mowing the lawn or trimming the hedges. It is about creating an outdoor space that is completely functional and welcoming, while also having an inspired and creative design. Since 1984, family owned and operated small business Howard Hurd Landscaping has been providing that kind of big-picture landscaping service to our valued clients, and we welcome each opportunity to create a new landscape. If you would like to take your residential or commercial outdoor space to the next level, we hope you will get in touch with our team soon. We are a local, family-owned and operated small business in Clark County, WA. We have over 30 years of experience in landscaping and hardscaping. Our team is hardworking, resourceful and creative. 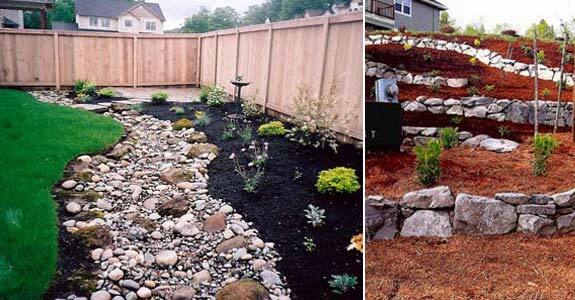 We offer a wide range of big-picture landscaping services. Our landscaping and hardscaping rates are always fair.